It's February. It's like -45 degrees outside, there's entirely too much snow, and Spring Break is like 87 short weeks away. 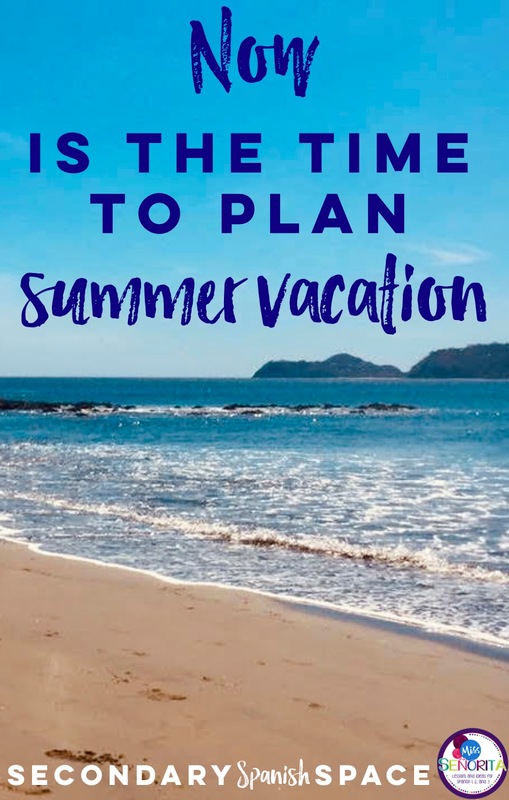 Now is the best time to plan summer vacation. Whether you've got kids to think about, or just a significant other, or if you're single (👋 hi, let's be friends), you're only going to save more money if you plan well in advance and book tickets and hotels now. Besides the money saving aspect, there's the mental health issue that school creates at the end of winter (yes, I'm pretty sure winter will end eventually). Everyone is tired of being cold and there is no break in sight. 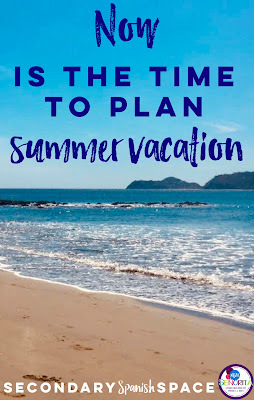 Plan that summer trip now so you can remind yourself in 3rd period (when your entire lesson gets derailed by a discussion about how Adam Levine resembled a Chipotle bag at the Super Bowl Halftime Show) that some day soon you'll be on a beach or in a European city or eating fantastic South American food. I've got recommendations for days, but I'll keep this short(ish). Go to the Florida Keys if you don't mind the heat. You can snorkel and see really cool fish and coral reefs (before it all gets destroyed by global warming #realtalk). If oppressive humidity isn't your thing, go to San Sebastián, Spain. 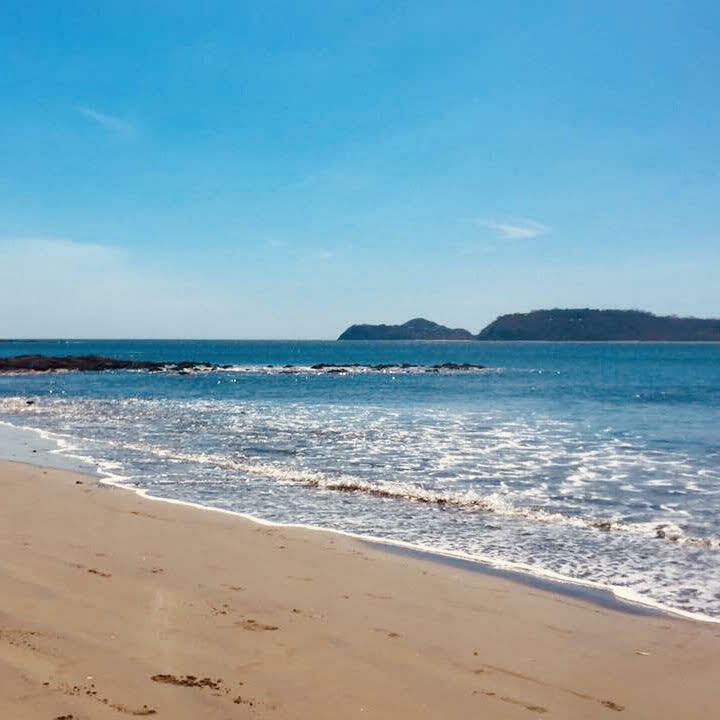 Besides the fact that Spain is the best country on Earth (#provenfact), the beach is beau.ti.ful. I mean it's gorgeous. And San Sebastián is close to Bilbao, super old caves in Altamira, Zaragoza, Burgos, and a million other cool towns in northern Spain. Go to Grand Tetons National Park in Wyoming. You can hike through incredibly beautiful mountains and the national park is ginormous, so you won't run out of places to check out. It's right by Yellowstone, so you might see bison or moose! If you prefer the Alps, then you must go to Lake Garda, Italy. It's a giant lake in the Alps and there are towns all around to keep you entertained. You can go to a spa that has an infinity pool that overlooks the lake, there are party towns and quiet towns and everything in between. It's not cheap to get to, but it's hard to beat the Alps. There are 20+ Spanish-speaking countries, so throw a dart at a map and see which one you hit. My favorite without a doubt is Spain. It has everything you could want to do, plus an accent that is a pleasure to listen to. If Spain is old news to you, go to southern Chile and Argentina to find out if penguins speak Spanish. Keep in mind that it's winter there during our summer, so it might be really chilly. But also, penguins. Don't come to New York City 😜 Get on Groupon and search their getaways for that place you've always wanted to go for the budget that is just right. I have found some seriously good travel deals before on Groupon. You must go to Machu Picchu if you haven't been. It's incredibly beautiful, but do be aware that it's at 7,000 feet. Cusco is even higher at 11,000 feet. If you live at sea level like I do, just know that breathing will be very challenging, you absolutely will get altitude sickness, and you should bring oxygen and/or altitude sickness medicine. But I swear you will appreciate the beauty after a few days of adjusting to the altitude. Go to a national park. Bryce Canyon National Park is the coolest place I've ever been in my entire life. It's close to the Grand Canyon, Zion National Park, Arches National Park, Escalante Canyon... basically just go to all of southern Utah (yes, I know the Grand Canyon is in Arizona). You can hike through all of these places - there are beginner level, intermediate level, and expert level hikes. You can also drive through and see stuff from your air-conditioned car. The scenery is absolutely unreal. I do recommend drinking gazillions of gallons of water to stay hydrated in the heat. And if you can only pick one place, dear lord let it by Bryce Canyon. Find out what tourists do when they come visit your town or city. Go do those touristy things that you would never normally do because #ewtouristsaregross. Find a spa you can relax at alllllll dayyyyyy because you made it through the school year. Don't you feel so much better now about the fact that Spring Break is still 800 days away and it's still -55 outside? You're welcome. Where are you going for summer vacation this year? Share in the comments!